I am an Independent Questioned Documents and Handwriting Expert. I was employed and trained by Grampian Police for 13 years. During this time I examined documents and handwriting in thousands of cases, wrote hundreds of Reports and gave evidence in Court on countless occasions. In 2001 I obtained the Forensic Science Society (now the Chartered Society of Forensic Sciences) Diploma in Document Examination - one of only two Document Examiners in Scotland to ever hold this qualification. Currently, I am the only questioned document examiner working in Scotland with the Diploma. I am now working as an Independent Expert, able to offer my services to anyone who requires them. I am a visiting Lecturer at Robert Gordons University, where I provide input on Forensic Document Examination for students undertaking the BSc (Hons) course in Forensic and Analytical Science course, including the co-supervision of final year student Handwriting and Document Examination projects. If you have a problem that involves writing or a document whose authenticity is in question, please get in touch for a no obligation, free quote, by filling in the contact form below. For further information about Questioned Document and Handwriting Examination, please keep on reading. Although I'm based in the North East of Scotland, distance is no object. I have undertaken the examination of documents throughout the UK, Europe and Middle East. Any document where there is doubt as to the authenticity of the document or its contents. A document could range from a piece of paper to a wall, with graffiti on it. The method of production of the actual document may be in question, or it may be its contents. My examination depends upon what is in question. I can physically examine a document to determine if it is genuine or not - is it an original or a photocopy for example. If the writing is in question I can compare this with known or sample writings to assign authorship. 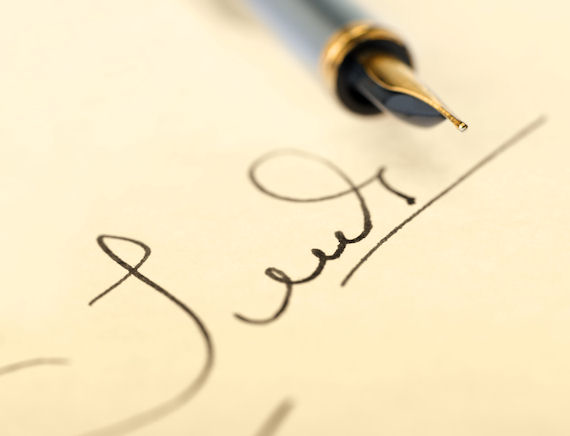 If you are involved in a dispute involving documents or handwritings, contact me for a no obligation, free quote. Once you have told me the facts of the case, I may ask you to send me a copy of the document(s). This will allow me to determine the examination required, what is required in the way of comparison samples and how long the examination will take. I will then prepare a quote for you, which will lay out in detail the examination I will undertake and costs involved. If you are happy with this you will need to send all the documents requested to me. I aim to send cases back, with a Report, within 2 weeks of receipt of all the documents. This may vary depending upon how busy I am and the size of the case and I will advise you at the time you contact me. Work can be done urgently, but may incur an additional cost. Guaranteed discretion and confidentiality at all times. After my examination is completed, I will produce a Forensic Science Report which will detail all results of the examination and my conclusions. The Report will also include an Illustration which will demonstrate my findings. I always produce a Report with an Illustration which allows you see exactly what my conclusions are and how I reached them. This evidence can be presented verbally in Court or tribunals if required. The cost of an examination is determined by the amount of work that has to be done. Once you have given me as much information as possible, I will prepare a free, detailed quotation for you. If you accept this, I will try to keep within the quotation. However if there are are any changes - for example more work is submitted, the amount of work I have to do will increase and so will the charges. Generally I try to return cases within 14 days. However if the case is exceptionally large or I am exceptionally busy, it may take a little longer and if there are any changes to the time scale when I am working on the case, I'll let you know. The more information I have before you submit the case, the more information I have to be able to give you a detailed and accurate quotation. I only have copies of the documents - is this ok? Generally copied documents do not contain all the fine detailed information that is required for a full forensic examination. An examination is still possible, but the results might not be as conclusive as they would be if I had the original document to examine. Please ask - I can always have a look at the copies before giving you a quote to tell you if an examination is possible. What do you compare the questioned writing to? In order to carry out a full and accurate examination, I can only compare "like-with-like" i.e. I need to have samples of the writing that are in the same style and words as the questioned - I cannot compare the signature "J Smith" with the signature "E Gillies". Block letters can only be compared to block letters, etc. When you get in touch with me to discuss the case, I can give you information on what is required. I can provide a document which will give you guidance on how to go about obtaining Sample writings. All enquiries will be responded to within 24 hours.